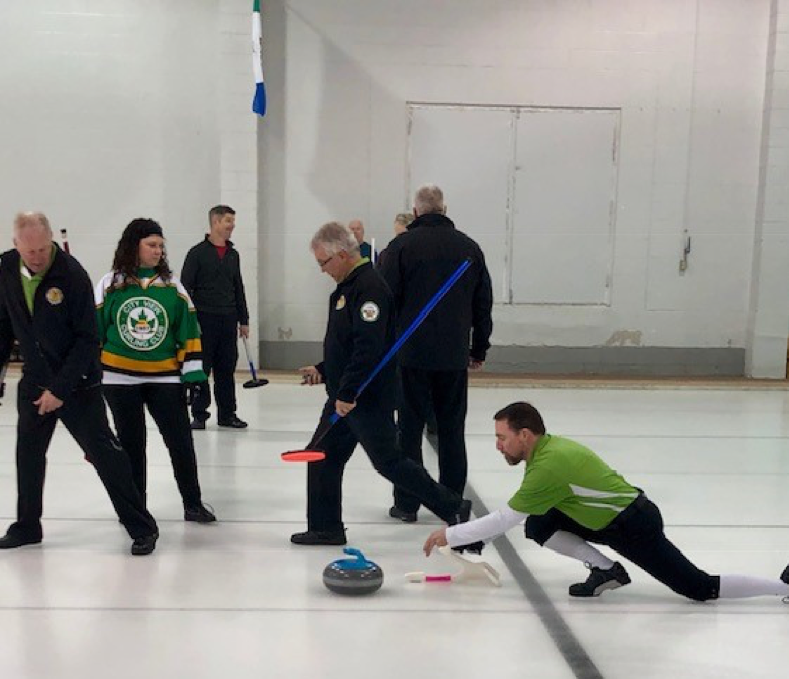 The third annual Ottawa Valley Left Hander Curling Championship was held at the Almonte Curling Club on February 9. Left handed curling teams from Ottawa and Eastern Ontario competed for the championship trophy and cash prizes in this very unique event. 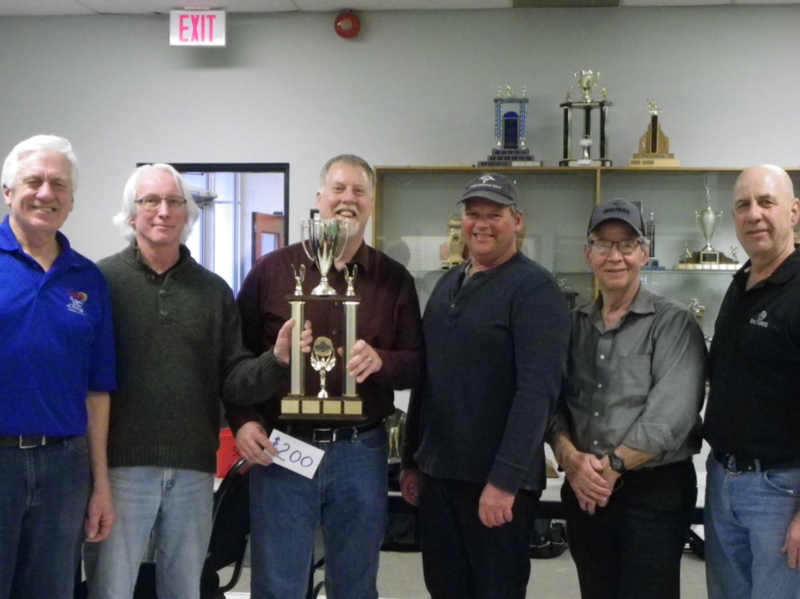 The winning team from the Arnprior & Pakenham area, Skip Russell Oatman, Paul Watters, Scott Collins and Bill Pennings received the Championship trophy from Almonte Curling Club President Steve Conlon. 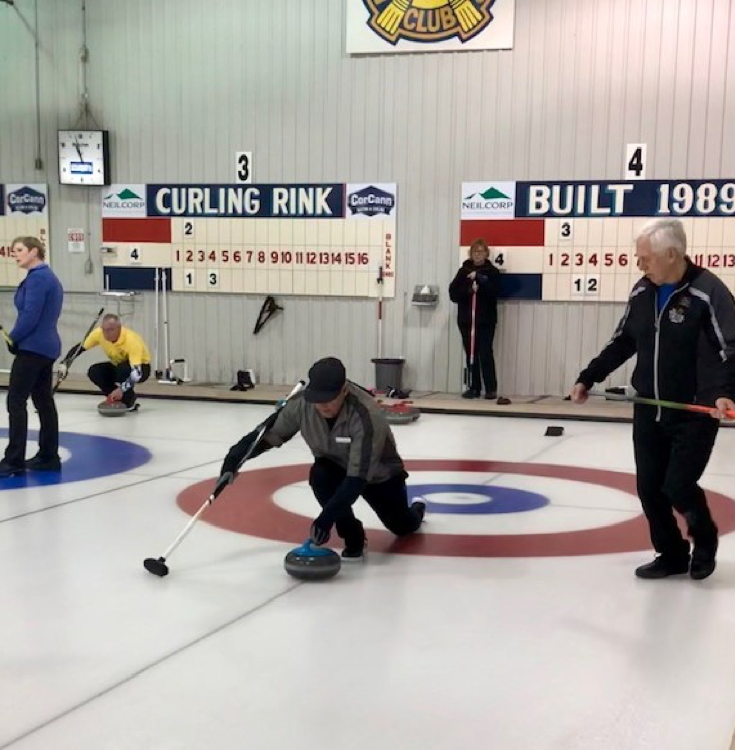 The runner up team, who were the defending champions, came from the host Almonte Curling Club – Skip Dan Nadon, Lynn Penney, Trevor Thompson and Ed Carew. The third place Ross Valliant team came from the Huntley Curling Club and the fourth place team, an all female quartet came from Ottawa’s Carleton Heights Curling Club under Skip Natalie Sharp. 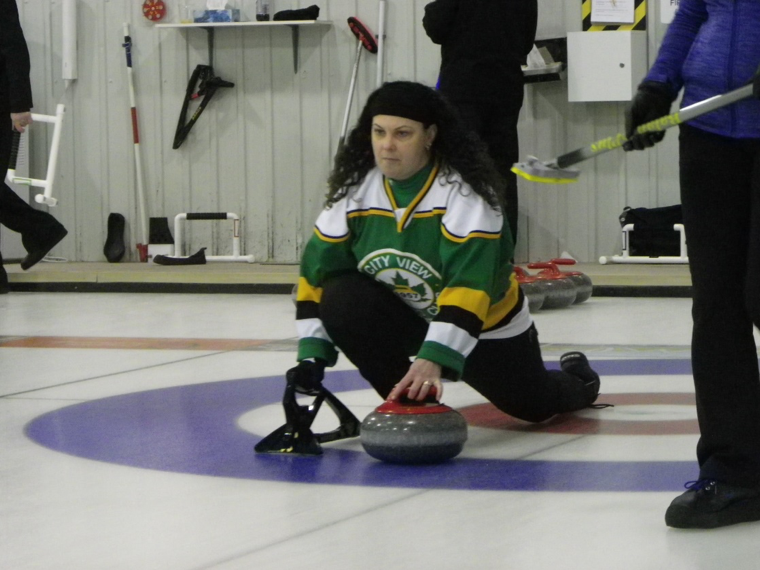 Pictures of keen Lefty curlers in action at Almonte Curling Club on Feb 9. A curler from the City View team.